Shakespeare wrote 37 plays, it would probably take you about 40 hours to read those; possibly longer if you stopped and took the time to comprehend what you’re reading. To see those plays live on stage, would be numerous hours of sitting in a darkened theatre. But who has time for that? We live in a world of instant gratification and shortcuts. Thankfully, Bloomington Civic Theatre’s latest production in their Black Box Theater, The Complete Works of William Shakespeare: Abridged has us covered. In two hours we are taken on a roller coaster ride navigating through all 37 plays written by the Bard. The premise of the play is three “Shakespearean Scholars” perform all 37 of Shakespeare’s plays in just under two hours. As you’d expect a few details and not so important lines and scenes are cut for time restraints; which leaves for some interesting and hilarious recaps such as the tragedy play “Titus Andronicus” which is turned into a cooking show. Most of the second act is dedicated to dissecting “Hamlet”, particularly the character of Ophelia and relies heavily on audience participation. This provides a hilarious look at the tragic Prince of Denmark. 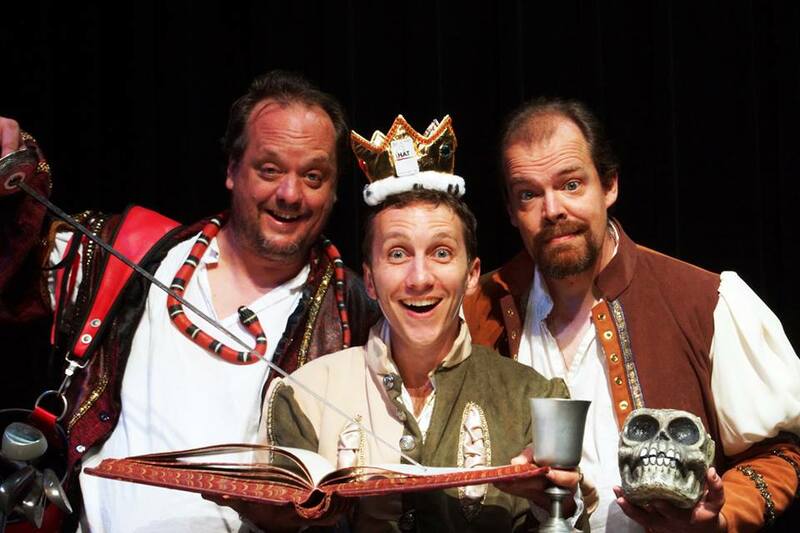 The three actors tasked with taking us on our journey through Shakespeare’s work are Randall J. Funk, Dave Gangler and David Tufford. The comedic timing of these three is excellent. They do a superb job mixing a scripted show with improv, at the show I saw they integrated the University of Minnesota’s Football win over Michigan earlier that afternoon into the show. All three physically throw themselves into the show and pull out all the stops to get laughs. Who knew you could use pop culture references, football, and the Kardashians to explain the plots of Shakespeare’s plays? Definitely not me. But these topics not only work, but make you realize that the Bard’s works are still relevant in today’s society and just not in an English class. For more information on The Complete Works of William Shakespeare: Abridged, visit Bloomington Civic Theatre’s website.